He loomed over her, in his black chariot. He was trapped in her gaze, unable to move forward. His mind kept repeating an endless refrain of thanks that he had not been too late. Another thought kept edging to the forefront of his brain. He tried to shove it back unsuccessfully. He had to have her. That she would complicate his life beyond measure was of no importance. Demeter would be furious. If this begat a war with the few gods left, so be it. Cassandra had warned him this would happen one day. Gods help him, he’d thought she was kidding. This blog was originally posted on Sharon’s website here. Sharon interviews several young adult writers, and has written an amazing book called The Last Timekeepers and the Arch of Atlantas. I want to thank and welcome author, Kaitlin Bevis for sharing her personal writing journey with us on my blog today. Her book, Persephone, can be purchased fromMusa Publishing, Amazon, and other on-line bookstores. How long have you been writing, Kaitlin? I’ve been writing all my life. Before I could write I played pretend. I’ve always loved writing and loved reading. I’ve never been shy about revising. If something I read or watched didn’t end the way I wanted it to, I’d rewrite it. I’ve taken every creative writing class I could find in high school and college, and spend a good chunk of my weekends with my writers group. Where did you get your idea and inspiration to write Persephone? Oddly enough the Clash of the Titans trailer. The tag line “damn the gods” somehow got my Brian thinking about Persephone. The trailer was awesome. The movie was so bad that I actually managed to get the entire book drafted in my head while watching it. What sets Persephone apart from other books in the same genre? For one thing the gods themselves are the main characters. Not Demi-gods, not humans caught in the crossfire. The myths aren’t back story, they are in the process of happening. Also, Hades isn’t the bad guy. He’s not even a bad guy that the power of love can change. He’s a genuinely decent guy, who was just trying to help save a damsel in distress. As an author, Kaitlin, what is your writing process? I get a very rough outline and then start writing. My first draft reads a lot like a synopsis with short bursts of description and dialogue. Then as I start fleshing out my plots, subplots and characters the story gets longer and longer and longer. My next draft deals with details. I’m really bad about getting all of the details into place for a strong setting, so I tend to overcompensate. That’s my longest draft. After that I cut all the places I went overboard on details, submit the draft to my writers group, revise, and submit again. Then I let a different group of friends read it, revise based on their suggestions and sent it to my good friend who’s also a copy editor for a final look over before submitting it to my editor. How long did it take for you to start and finish Persephone? I started the summer of 2009 and submitted it December of 2011. I didn’t really count it as finished until after it went through two rounds of content editing with my editor and copy editing. That just got finished this summer. So three years? Do you have any advice for other writers, Kaitlin? Join a writers group, and listen to their critique. No matter how awesome your story is you don’t know more than they do because you’ll always be the writer of your story, not the reader. You know why everything is the way it is, so really you can’t tell if you did a good enough job conveying it. They can. If only one or two people in a group suggest a change, you can take it or leave it. But if the entire group is telling you “yeah, I really don’t get this scene” don’t get all smug and act like they’re idiots. Because that’s the exact scene that’s going to stop your book from getting published when a slush reader (who is still not you and is not in your head) reads it and goes “huh, I don’t get this.” and rejects it. What’s next for Kaitlin Bevis the author? Books two and three. Book two has gone through the whole process, so it’s just waiting for my editor. Book three just got started. Once I finish with the third book, I’ve got another trilogy in mind, set in the same universe, and a single book in mind that’s set in a different universe. I can’t decide which one I want to work on next. It’s a moot point until book three is done anyway. I’m very excited about the direction the third book is taking. Okay, here’s one for me, since I’m writing a time travel series – If you could time travel anywhere into Earth’s past, where would you go and why? That’s a tough one! I like Jane Austin times, because of all the pretty clothes and dances and the nice manners. I wouldn’t want to stay too long though. I really enjoy indoor plumbing, and air conditioning, and having rights. Then I would travel a bit further in the future, make some deposits in high yield savings accounts, invest in some stocks and such. Otherwise I’m really happy where I am. The “talk” was but enough, but how many teens get told that they’re a goddess? When her mom tells her, Persephone is sure her mother has lost her mind. It isn’t until Boreas, the god of winter, tries to abduct her that she realizes her mother was telling the truth. Hades rescues her, and in order to safely bring Persephone to the Underworld he marks her as his bride. But Boreas will stop at nothing to get Persephone. Despite her growing feelings for Hades, Persephone wants to return to the living realm. Persephone must find a way to defeat Boreas and reclaim her life. So today begins the Persephone blog tour. Click the link above to view all the stops. Here’s the stops that have already happened, be sure to drop in and comment if you want to win a free copy of the book. My book was also of course featured on my publishers blog here. The users over at Truu confessions were given an extended excerpt and had a chance to win a copy of Persephone here. The first chapter of Persephone is available here along with another chance to win! And a blog from another fantastic Musa author, Dusty Crabtree here. She even made me a book trailer! I’m so excited! And last one for the day is on Kayla’s blog here about how I became a writer. Most days won’t be quite so busy, but expect a new blog a day for the next two weeks. There are personal interviews, guest posts, reviews, excerpts, and character interviews. Enjoy! So I took all of the comments from Facebook, twitter, and the blog and put them in a random number generator, and the winner is….Amber! Amber please send me an email or a fb message with your email address and ebook reader file type, and I’ll send you a copy of Persephone. Congrats! Release Party! 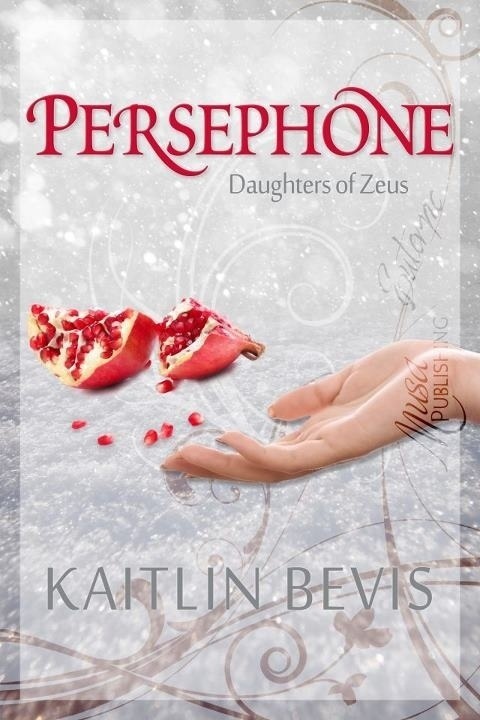 Win a copy of Persephone! I’m having a release party! Since Persephone is an ebook, having an erelease party made sense to me. To “attend” just share this blog and post a comment on my blog, facebook, or twitter Friday at 5 pm, through Saturday at 5. You can post questions or comments. I’ll reply, and one lucky commenter will win a copy of Persephone in whichever format they prefer. At 5:30 I’ll be bringing snacks to my writers group for an in person celebration, and they’ll help me choose a random winner.